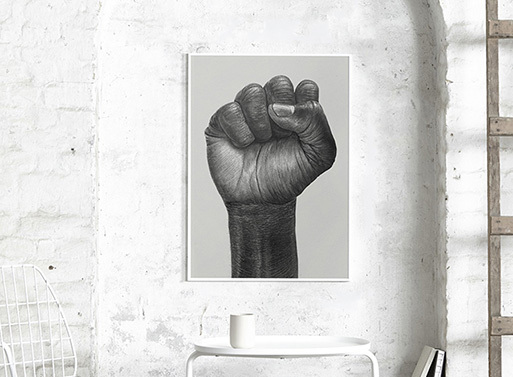 The clenched fist is a “a universal sign of solidarity and support.” Should you feel beaten down by the news of the past few days, remember, you are not alone. This particular print may just be enough to keep you going… organizing, uniting, and working to make sure your voice is heard. Proceeds from sales of these posters benefit cancer charities of Børge Bredenbekk’s choosing. Artworks offset-printed on FSC-certified, uncoated archival quality paper in Paper Collective’s certified sustainable operation in Denmark. Available from A+R Store, $48.00.